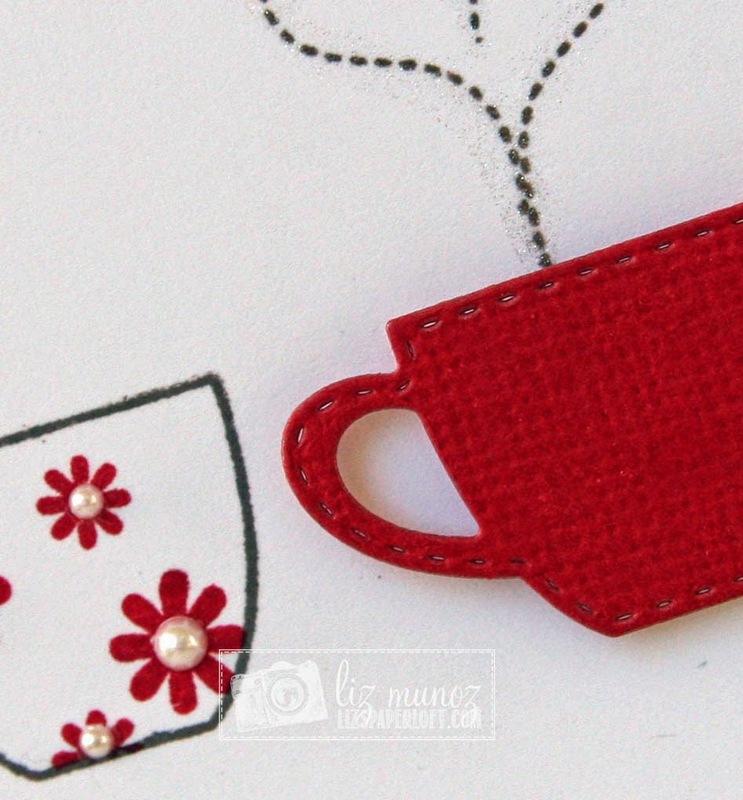 Liz's Paper Loft: MCT September Release Sneak Peek Day 4 ~ Coffee! Hey Hey Hey It's Thursday! Do you know what that means? That's right, tomorrow you'll be able to see the whole My Creative Time release and order everything you want! Today, I'm going to share with you All You Need Is Coffee Stamp and Die set. This set is just too cute and fun! After stamping the flowers I added tiny pearls to the centers. It's hard to see in the picture, but I outlined the heart steam with Wink of Stella shimmer. So adorable! Love the card! AWWWW your card is so sweet and precious I love it and yep 3 cups I'm greedy I'll have 'em call after all I'll admit it!!!!! That's right, tomorrow you'll be able to see the whole My Creative Time release and order everything you want! I kinda stopped reading after the word everything *LOL* YOU ROCK!! Love the simplicity of the white background and the one popped cup. you know I love this, right? Sweet, simple and absolutely Adorable!! Love your card!!!! Those sweet little pearls give it such a sweet little touch! Very sweet in it's simplicity! Great job. Unique and simple. Gorgeous CAS card!!! Love the red and white!!! Liz this is so simple but yet so pretty!! It's absolutely perfect! Love Love! Beautiful card Liz!!! LOVE the CAS design!!! Liz ~ What a GORGEOUS CAS card! OMG! I LOVE it ~ so simple but yet so PERFECT! BEAUTIFULLY done as always! I LOVE your CAS card. It it so CUTE! Thanks for sharing. Gorgeous, love the pearls in the flowers!!! Really pretty card. I love the red you used in this. 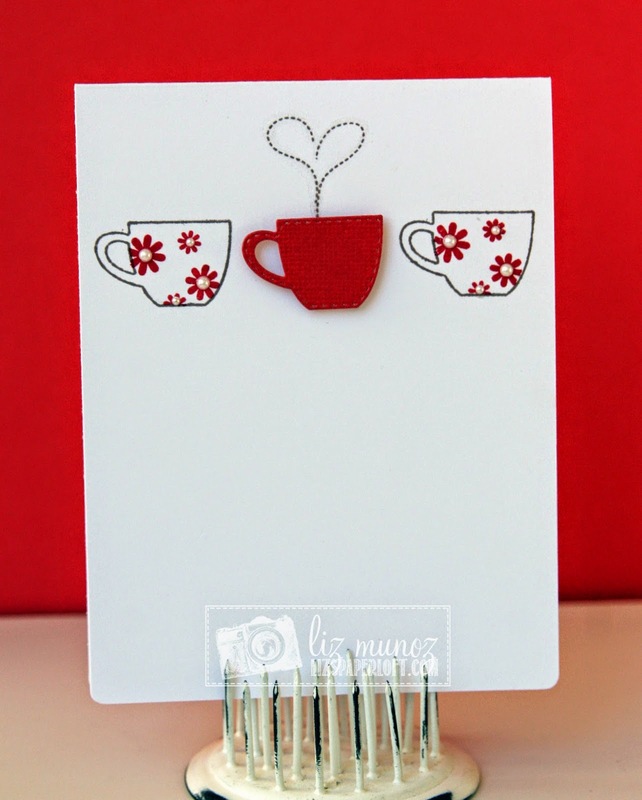 Hello Liz, super simple and cute card. I love it! TFS! 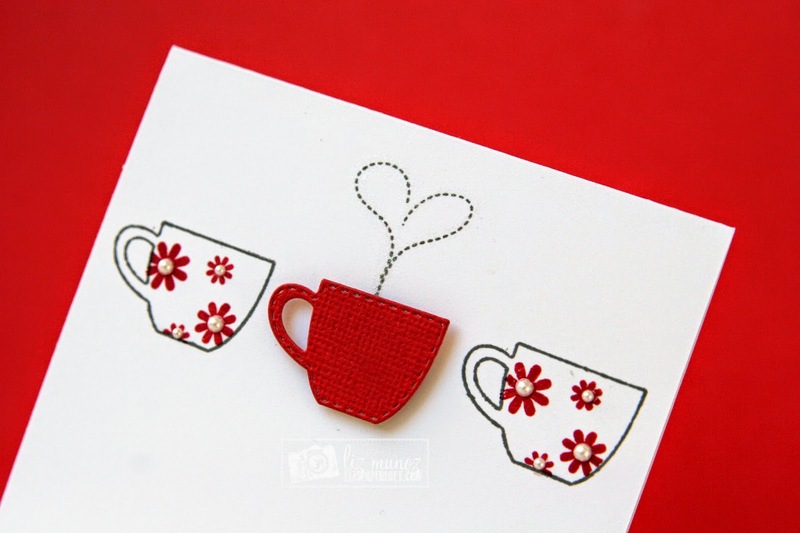 I love your simple and beautiful card! Can't wait to get this set. This card is so perfect! I love the CAS design. I really love this stamp and die set! 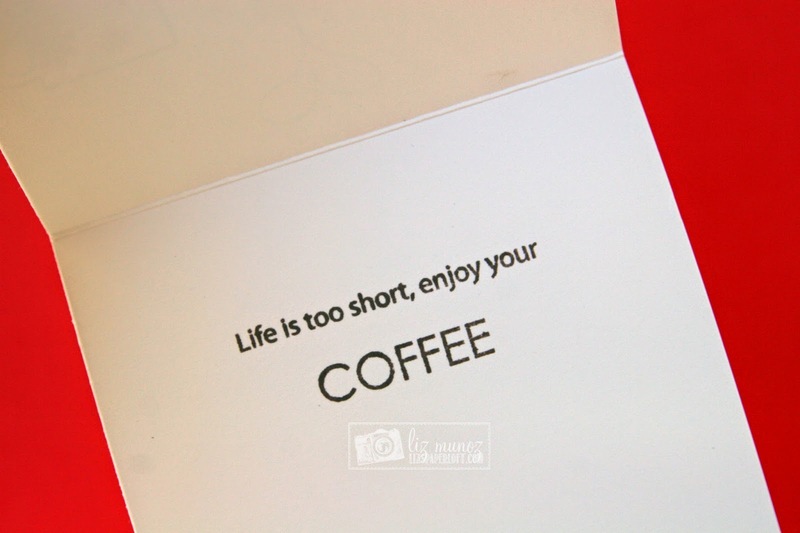 Love, love, love the simplicity of this card. That's so cute how you added the little pearls to the flower centers. Ohhh!!! Love how you made flowers out of those!!! Cute! I love the CAS card! The pearls on the flowers is perkfect. So pretty with that cute steam. I can't wait to get these and the rest of the release! Great job! I love the design of this card and those flower cups are so cute!! Hugs!! Love how you decorated the cups with pearls. I love the simplicity of this card. The red and white really make the dies and stamps stand out. My kind of card - simple but sweet. Love it! Super simple but super adorable ! Luv it!